After the success of last year’s shows, Solomun is back at Ibiza’s Destino with six more dates alongside some of his close friends and peers. Solomon also has a residency at Pacha that sees him play with his choice of one DJ, but at Destino he will play with his special choice of live act. Joining Diynamic label boss Solomun, who plays six dates from 9 July to 29 September, will be a selection of guests. Up first, key Diynamic label artist David August plays live, then Innervisions Ame play on the 23rd, Pampa’s Isolee is the guest on August 8th, Brandt Brauer Frick plays on the 20th, Kompakt act WhoMadeWho play the 10th, then it all comes to an end with Rodriguez Jr. on the 24th. Every event will come with warm up sets from Hamburg’s RSS Disco. 24.09. 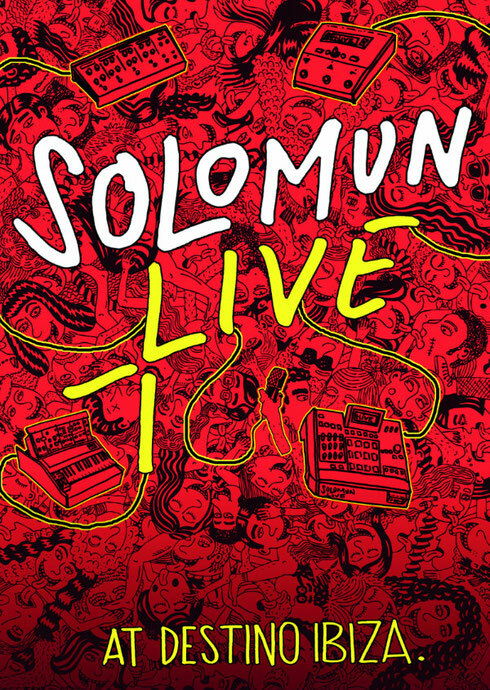 Solomun+Live Closing -w/ Rodriguez Jr.